Winter is right around the corner, which means that it’s time to make sure that your restaurant, bar, or chain is in tip-top shape this holiday season. In Part One of our blog post series, we went over the importance of building up your email list and getting the word out about your restaurant. We also asked our restaurant, chain, and bar owners if they are ready for the holiday season. Many restaurant owners may not understand that this time of the year is a great time to market. While many families are creating delicious dinners and you may think that they aren’t going out to eat, that’s not the case. After spending so much time in the kitchen or cleaning the house during the holidays, people will want to take a step back and just enjoy being around family instead of hurrying around to finish things. Meal time is the best time to spend with family, which is why now is the time to really get foot traffic through the door. If you’re struggling with figuring out advertising for restaurants this holiday season, then contact That’s Biz and we’ll work with you to figure out the best strategy for your establishment. There are many ways that you can get your restaurant, chain, or bar ready this holiday season. You should take advantage of this time to really put your restaurant on the map. Advertising for restaurants takes work, but with these methods, you’ll begin to see the results that you want. Below you’ll find three different methods to help you market your restaurant this holiday season, and remember, we can always help if you’re struggling. As we covered in Part One, building an email list is imperative. Taking advantage of the foot traffic now will help you to create campaigns that will target your desired audience in the future. 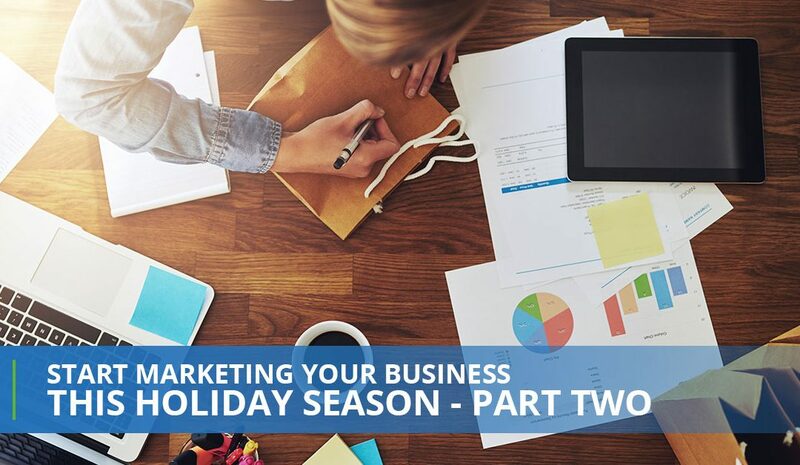 However, before the holidays, you should take the time to build an email or an SMS campaign. These campaigns should already be out and ready to go to hit the holiday season hard. Email and SMS campaigns can help build loyalty for your customers as well, especially when you create personalized messages that show your audience their specific interests. At That’s Biz, we offer digital coupons that you can use for birthdays, holidays, and so many other occasions. What’s great about mobile coupons are how easy they are for you to create and for your customers to use. You’ll be able to create redeemable coupons, birthday club coupons, and digital flyers or postcards. Lastly, you’ll want to create a Facebook ad campaign for the holiday season. What’s good about doing a Facebook ad campaign is that you’ll target your desired demographic. Since most people are on Facebook, you can put your ads where everyone will see and be on the top of their mind as they think of places to eat. By lowering the cost to advertise and targeting a particular type of audience, you’ll save money while getting people through the door. At That’s Biz, we also offer Solutions-To-Go, which can make marketing this holiday season even easier.